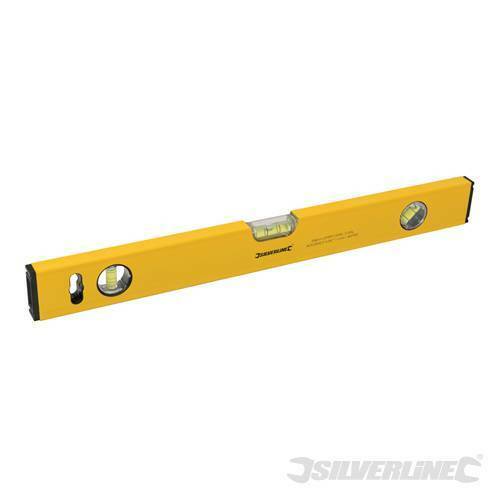 1200mm long spirit level, with accuracy guaranteed to 1mm/1m. Made from 23 x 1.8mm thick extruded aluminium with ribbed sides. 2 vertical and 1 horizontal vial. Milled top & bottom faces.